Dr. Simon Lolliot is an Instructor int he Department of Psychology and the University of British Columbia. prior to UBC, Lolliot received a Rhodes scholarship to the University of Oxford, where he completed his doctorate in social psychology. While at Oxford, Lolliot studied the role that intergroup contact plays in reconciliation. 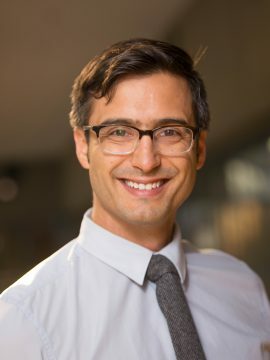 Following Oxford, he joined UBC as a postdoctoral researcher and teaching instructor with Drs. Toni Schmader and Andrew Baron. Research interests include diversity, intergroup contact, belongingness, and how these relate to success (pedagogical and otherwise) at university; scholarship of teaching and learning and educational leadership; prejudice, attitude generalization, reconciliation, and in-group identity. Árnadóttir, K., Lolliot, S., Brown, R., & Hewstone, M. (2018). Positive and negative intergroup contact: Interaction not asymmetry. European Journal of Social Psychology, 48, 784-800. Lolliot, S. (2018). The secondary transfer effect of intergroup contact. To be published in Y. Y. Kim (Ed. ), The international encyclopedia of intercultural communication. Hoboken, NJ: John Wiley & Sons, Inc.
Christ, O., Schmid, K., Lolliot, S., Swart, H., Stolle, D., Tausch, N. et al. (2014). Contextual effect of positive intergroup contact on outgroup prejudice. Proceedings of the National Academy of Sciences, 111, 3996-4000. doi: 10.1073/pnas.1320901111. Hewstone, M., Lolliot, S., Swart, H., Myers, E., Voci, A., Al Ramiah, A., & Cairns, E. (2014). Intergroup contact and intergroup conflict. Peace and Conflict, 20, 39-53. doi: 10.1037/a0035582. Hughes, J., Campbell, A., Lolliot, S., & Hewstone, M. (2013). Inter-group contact at school and social attitudes: Evidence from Northern Ireland. Oxford Review of Education, 39, 761-779. doi: 10.1080/03054985.2013.857595. Hughes, J., Lolliot, S., Hewstone, M., Schmid, K., & Carlisle, K. (2012). Sharing classes between separate schools: A mechanism for improving inter-group relations in Northern Ireland? Policy Futures in Education, 10(5), 528-539. Kauf, M., Schmid, K., Lolliot, S., Al Ramiah, A., & Hewstone, M. (in press). Intergroup contact effects via ingroup distancing among majority and minority groups: Moderation by Social Dominance Orientation. PLOS One. Lolliot, S., & Hewstone, M. (2015). Online approaches to intergroup contact in protracted conflict. Carnegie Endownment for Peace. Sella, F., Sader, E., Lolliot, S., Cohen Kadosh, R. (in press). Learning, memory, and cognition: Basic and advanced numerical performances relate to mathematical expertise but are fully mediated by visuospatial skills. Journal of Experimental Psychology. West, K., Hewstone, M., & Lolliot, S. (2014). Intergroup contact and prejudice against people with schizophrenia. Journal of Social Psychology. doi: 10.1080/00224545.2014.888327. Hewstone, M., Floe, C., Al Ramiah, A., Schmid, K., Son, E., Wölfer, R., & Lolliot, S. (2015). Diversity and intergroup contact in schools. In R. Koopmans, B. Lancee, & M. Schaeffer (Eds. ), Social Cohesion and Immigration in Europe and North America: Mechanisms, Conditions, and Causality (pp. 209-229). Abingdon, Oxon: Routledge. Lolliot, S., Fell, B., Schmid, K., Wölfer, R., Swart, H., Voci, A., Christ, O., New, R., & Hewstone, M. (2014). Measures of intergroup contact. In G. J. Boyle, D. H. Saklofske, & G. Matthews (Eds. ), Measures of personality and social psychological constructs (pp.652-683). London, UK: Academic Press. Lolliot, S., Schmid, K., Hewstone, M., Al Ramiah, A., Tausch, N., & Swart, H. (2013). Generalized effects of intergroup contact: The secondary transfer effect. In G. Hodson, & M. Hewstone (Eds. ), Advances in intergroup contact. London, UK: Psychology Press. As a tenure track teaching faculty, Dr. Lolliot does not supervise graduate students.